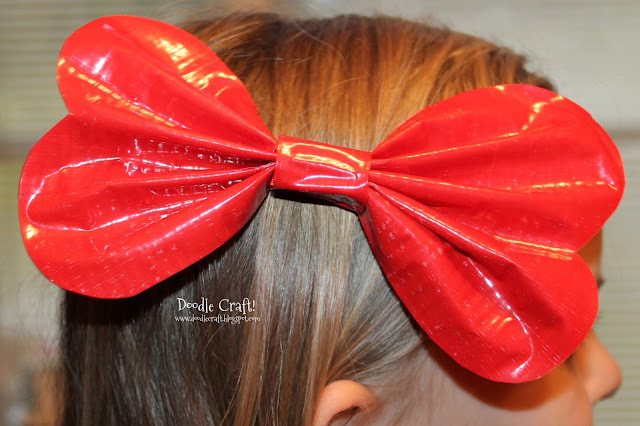 Doodlecraft: Duct Tape Valentine's Hair Bow! 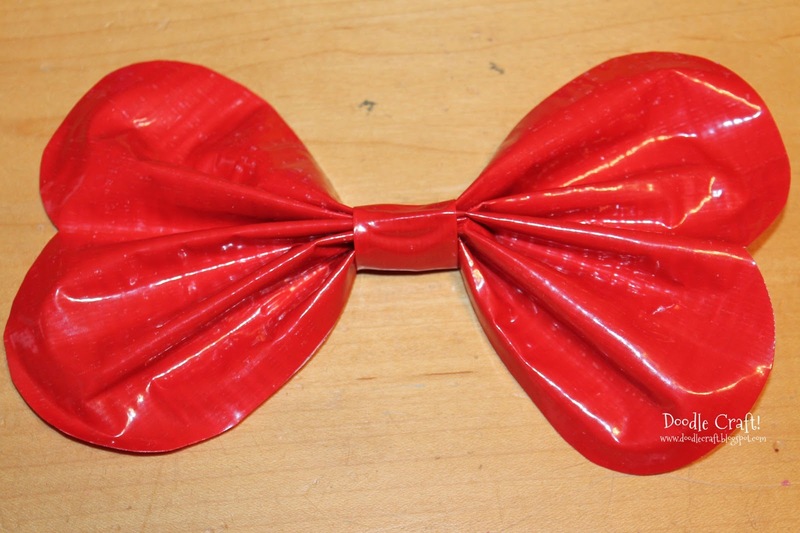 Duct Tape Valentine's Hair Bow! A fabulous RED Heart Duct Tape hair clip for Valentine's Day! 3 strips on the other side...so it makes a piece of fabric. Then cut the edges rounded so they are heart shaped! Gather the center and wrap some duct tape around it to hold it tight. 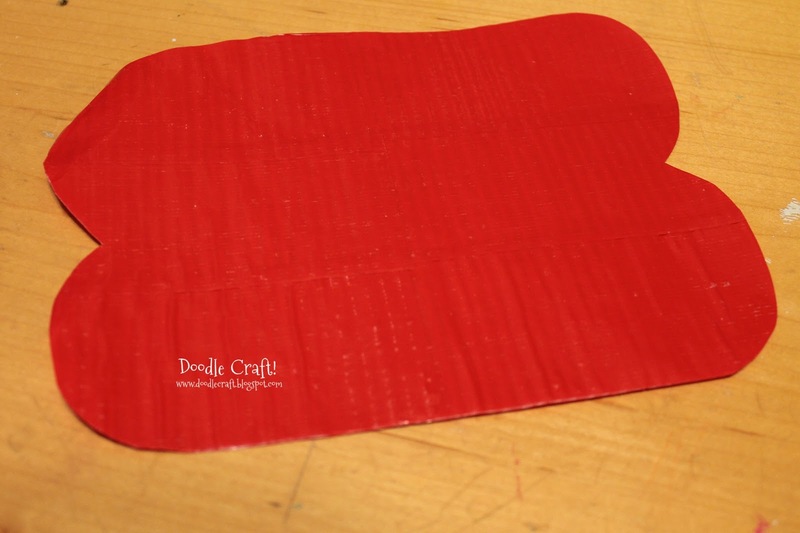 I have hot glue at the ready and put a little dot on the center wrap. 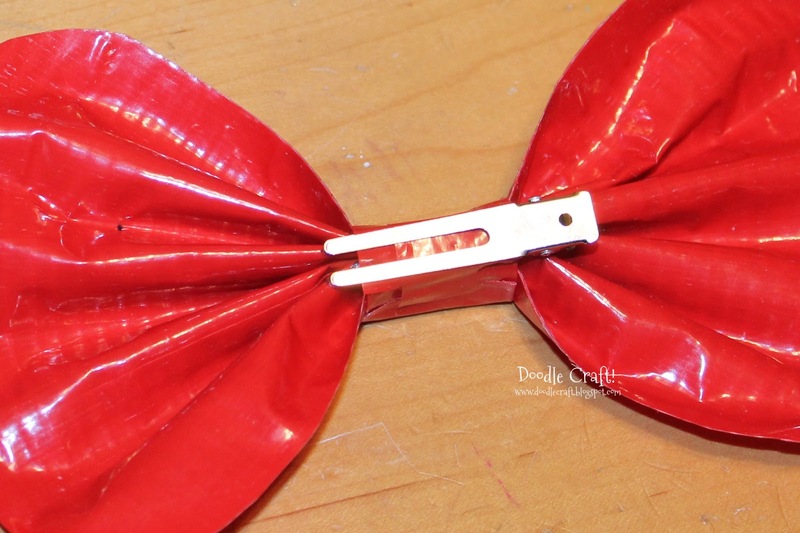 Flip it over and hot glue on a little hair clip. 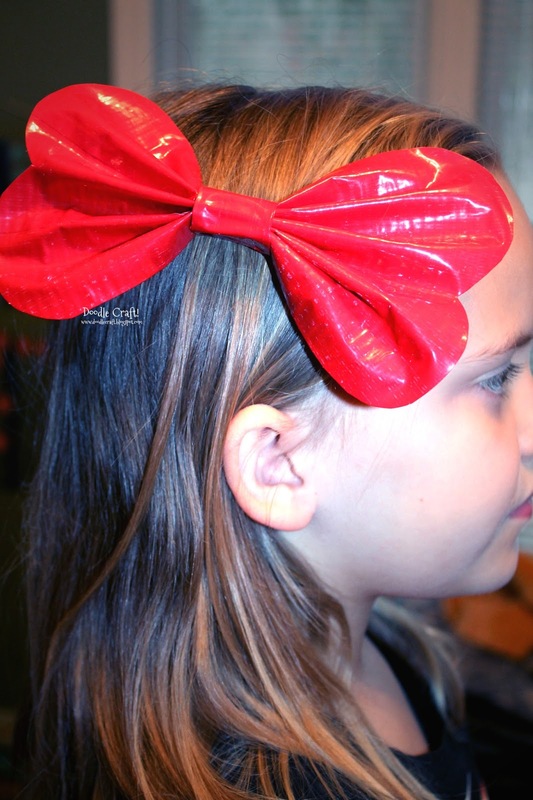 Clip in ponytail for a fabulous Valentine's day hair accessory!